 Golden Blue the new generation of light jigging rod was born ! At the end of 2017,the Blue Heaven series of jigging rod officially discontinued and replace by the new generation of blank formula X Factor technology. Blank are improved with more lifting power,toughness and lighter to bring the sensitivity to another level. Golden Blue equip with Fuji VSS reel seat and Fuji Alconite K guide,the best combination. At the bottom section of rod blank body,there are addition of a layer four-axis carbon cloth. Elegant look with blue / gold thread around the guide and blank. At present, all SENSES designated fishing tackle shop has been shelves. Welcome to the purchase. Hope Golden Blue can have another four years or more,the continuation of legendary Blue Heaven !